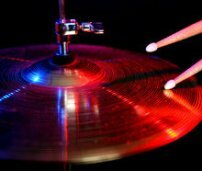 Drum head tension for best drum trigger peformance? Is there a best practice rule for drum head tension when hooking up a drum trigger? There are so many variables to consider that I doubt there is any best rule for all situations. Different triggers and different sound modules will react differently and your style of playing will add yet another variable. You need to experiment with tuning and with placement of the triggers. Be sure to place the trigger where it will not be triggered by vibrations of drum other than the one it is on. Tuning can have a lot to do with the presence or lack of "sympathetic" vibration. Don't forget to experiment with the tuning of the resonator head in relationship to the batter head. The triggers are activated by the vibration of the head, and the vibration of the top head is affected by the tuning of the bottom head. You also need to test the reaction of the triggers to other instruments. For example, a bass guitar can set off vibrations in floor toms. The use of triggers can greatly enhance the sound of your kit, but it takes a lot of experimenting to get the sound that you want.